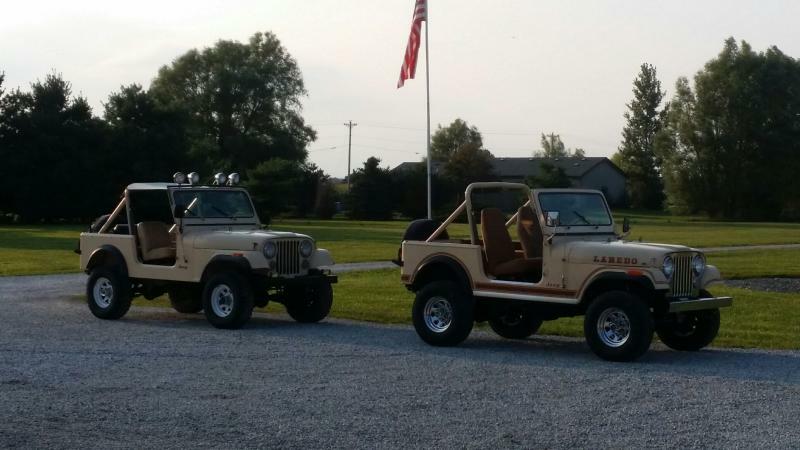 This Jeep (the rear one in the photos as the front one sold before we listed it) is an instant Rudy favorite and reminds me why I started doing this years ago. This is a simple, clean bare bones Jeepers Jeep. You get in it and the time machine takes over. It is simple with no frills and no rot. It feels like a Jeep should feel without all the luxuries, flash and uptightness of the Laredo marble sorting collectors we often cater to. Absurdly cean Arizona body and frame. I mean ABSURDLY clean. Shiny metal where original paint is missing. The underside is stupid clean. Dash is not cut and has a 2 post radio in it. Tasteful lights added and all work. 6 cylinder w power steering and a 4 speed. Here-say rebuilt transmission, transfer case and differentials (no receipt but you can see the rtv and cleaness). New exhaust and fuel tank. Starts, stops and runs like it should. Easy Jeep to buy and own. Comes as shown. More photos to come but I expect it to sell quickly.